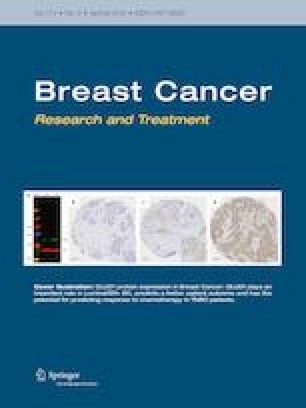 This study evaluated development of edema in patients receiving PI3K/mTOR/CDK4/6 targeted therapy for metastatic breast cancer (MBC). We reviewed medical records of 160 patients receiving targeted therapy with PI3K/mTOR/CDK4/6 inhibitors to treat MBC (n = 160; 185 treatment occurrences). Clinicopathologic data, treatment details, and edema incidence were recorded. Edema incidence was 43.1% (69/160) overall and 25.6% (41/160) in the upper extremity ipsilateral to the treated breast. In 185 therapy regimens administered, 6.8% of patients on a PI3K inhibitor, 8.8% of patients on an mTOR inhibitor, and 9.2% of patients on a CDK4/6 inhibitor experienced new onset or worsened preexisting upper extremity edema. Further, 9.1% of patients on a PI3K inhibitor, 18.8% of patients on an mTOR inhibitor, and 10.5% of patients on a CDK4/6 inhibitor experienced new onset or worsened preexisting edema elsewhere in the body. Multivariate logistic regression showed that, beyond the established breast cancer-related lymphedema (BCRL) risk factors [axillary lymph node dissection (Odds Ratio (OR) 2.69, p = 0.020), regional lymph node irradiation (OR 6.47, p < 0.001), and body-mass index ≥ 30 kg/m2 (OR 3.46, p = 0.006)], a relative decrease in serum albumin after 3 months of treatment increased risk of developing edema (OR 2.07, p = 0.062). Neither duration nor type of therapy were significant risk factors for edema. PI3K/mTOR/CDK4/6 inhibitors may influence the development of edema, which may cause or exacerbate progression of BCRL in patients with MBC. The varied incidence of edema between therapeutic regimens warrants vigilant monitoring of patients treated with these therapies, especially those at high risk of developing BCRL. The online version of this article ( https://doi.org/10.1007/s10549-019-05206-y) contains supplementary material, which is available to authorized users. This study was funded by Award Numbers R01CA139118 and P50CA089393, Granted to Alphonse G. Taghian from the NIH, and the Adele McKinnon Research Fund for Breast Cancer-Related Lymphedema. Aditya Bardia serves as a consultant for Genentech/Roche, Immunomedics, Novartis, Pfizer, Merck, Radius Health, Spectrum Pharma, and Taiho Pharmeceutical. Aditya Bardia reports institutional grants from Genentech/Roche, Immunomedics, Novartis, Pfizer, Merck, Radius Health, Mersana, and Innocrin, as well as personal funding from Biothernostics. Steven J. Isakoff serves as a consultant for Myriad, Puma, Immunomedics, and Mylan, and reports funding from Genentech, Pharmamar, Abbvie, OncoPep, Merck, AstraZeneca. Dejan Juric serves as a consultant for Novartis, Genentech, Eisai, Ipsen, and EMD Serono. Dejan Juric reports grants from Novartis, Genentech, Eisai, EMD Serono, Takeda, Celgene, and Placon Therpaeutics, as well as personal funding from Novartis, Genentech, Eisai, Ipsen, and EMD Serono. The remaining authors have no conflicts to disclose.